Edwin Goodman from Activate Venture Partners is a member of FundingPost online! To list your Company on our website and make your profile available to Edwin and 7,500+ other VCs and Angel Investors, Click Here. Milestone is an early stage venture capital fund with $42 million under management. Milestone focuses on Technology-enhanced service businesses, especially those that offer software-as-a-service, content with web services and/or businesses process outsourcing solutions, with emphasis on Media and Marketing Services, Healthcare IT and Financial Services IT. Companies that we find attractive possess the nucleus of an exceptional management team, an attractive business model, and a compelling market opportunity. Milestone invests approximately $2 million over the life of each investment, and invests in companies primarily in New York, New Jersey, Connecticut, Eastern Pennsylvania, and, to lesser extent, the Northeast and Mid Atlantic as a whole. He also co-founded Activate�s predecessor funds - Milestone Venture Partners - in 1999. He brings over 40 years of diversified venture investment experience, beginning with Patricof & Co. (now APAX) where he worked for seven years beginning in 1974 as its third employee. 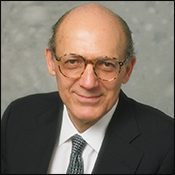 While at Patricof & Co., Mr. Goodman, headed a small business investment company which invested in the final private financing round raised by Apple Computer in the summer of 1979. After APAX, Mr. Goodman worked for 17 years at Hambros Bank Ltd., where his responsibilities expanded to include managing both the U.K. bank�s U.S. venture and merchant banking operations. During his tenure with Hambros Bank Ltd., Mr. Goodman also was responsible for supervising the creation of new Hambros-sponsored fund products, including Cross Atlantic Partners I, II and III (a series of biomedical venture funds for which he served as the Chairman of the General Partner and a member of the Advisory Board) and Crescent Private Capital, L.P. (a private equity fund for which he served as a member of the investment committee). He also assisted in the launching of Hambros Venture Funds in Japan, Australia and Israel. Prior to his investment experience, Mr. Goodman managed WBAI FM, an educationally-licensed, listener-sponsored FM radio station in NYC. Before managing WBAI, Mr. Goodman was the co-CEO of an investment unit of the Bedford Stuyvesant Development & Services Corporation in Brooklyn, NY, which made SBA-guaranteed loans to small businesses in the community. Mr. Goodman�s professional career began with the U.S. Marine Corps Reserves. After his release from active duty, he joined his family�s high-fashion retailing business, Bergdorf Goodman, in New York City, where he was active in many areas of the business. He worked closely with his father on the sale of the business to Carter Hawley Hale Stores, a New York Stock Exchange-listed company in 1972. Mr. Goodman is a former Board Chair and a current life Trustee of the Board of the Choate Rosemary Hall School in Wallingford, CT. He also serves on the Board of FIT (The Fashion Institute of Technology), a college with 9,000 students, within the New York State system. Additionally, Mr. Goodman serves as a Trustee of the Andrew Goodman Foundation, a 501(c)(3) organization which supports college student civic engagement by encouraging voter registration and social entrepreneurship. He was a founding director of the Board of DonorsChoose, a non-profit organization that allows individual donors to select and fund projects that are posted on its website by public school teachers throughout the U.S.
Mr. Goodman holds a B.A. in English literature from Yale College and a M.S. from Columbia University Business School.